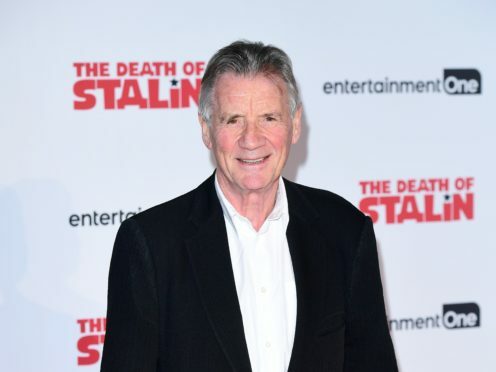 Sir Michael Palin will return to the stage for a live tour to celebrate the paperback release of his latest book. The Monty Python star will take his one-man show to 12 venues around the UK to coincide with the publication of Erebus: The Story Of A Ship. The first part of the show will see Palin bring to life the story of HMS Erebus, the little ship that took on the Antarctic and the Arctic in the 1840s. The show will detail the triumph and tragedy of the ship’s short and doomed life, and what it was about it that made him so keen to tell its story. In the second half of the show, Palin will tell his own life story, including how his three favourite subjects at school (geography, history and comedy) have shaped his life. Sir Michael, who was awarded a knighthood in the 2019 New Year’s Honours list, will discuss his career from Monty Python to Ripping Yarns and the many television travel series that have taken him all around the world, from the North Pole to North Korea. The tour – called Live on Stage 2019, Michael Palin, Erebus, Python and Other Stories – will include previously unseen footage and previously untold stories and will kick off in Bournemouth on June 7. It will take him to Basingstoke, Cambridge, Chesterfield, Milton Keynes, London, Bradford, Salford, Salisbury, Reading, Portsmouth and will finish in Bath on July 7. Erebus: The Story Of A Ship will be published in paperback on May 30.